Are you a Moon Tracker? People who track the Moon stay in touch with the daily Moon sign. For example, as of this writing the Moon is in Pisces and will move into Aries toward the end of the day. 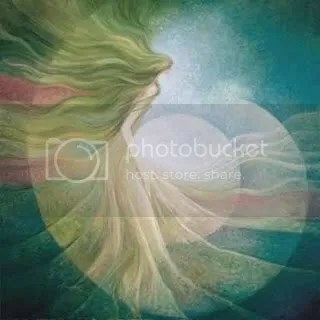 Pisces days are great for prayer or meditation, contemplation, gardening, singing, heartfelt conversation (though we can be a bit sensitive at this time, so be careful), laying out a tarot spread, or anything that connects us to whatever that thing is that we call the divine, the mystery, spirit, or God. Even knocking back a few may be a way to dissolve the barriers between reality and the otherworld, but that’s an artificial means and brings Piscean problems of its own. It’s certainly not the best choice. 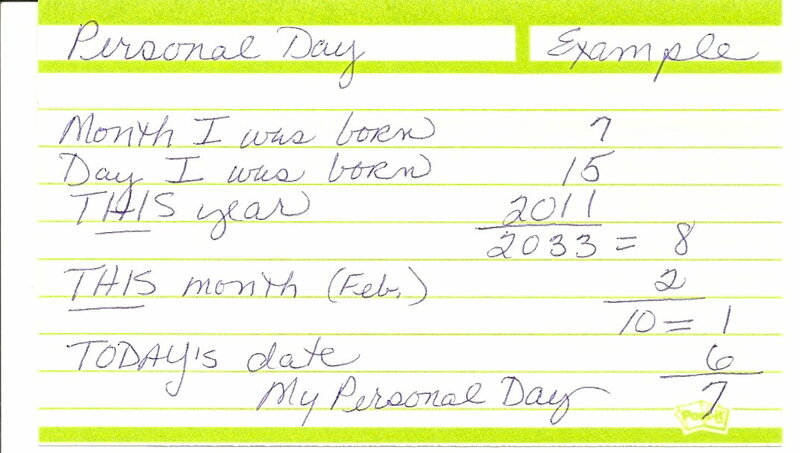 Personal Days are based on the numerology of our own birthday. For example, today is a 7 day for me. 7 days are about introspection, withdrawal, prayer and meditation, research and education, communing with the divine. Can you see how a 7 day during the Pisces Moon might make for a very sensitive time? What are my plans for this Pisces 7 day? I’m planting a few bulbs in my garden where one of my dear pets is buried. I need some time alone, some time with him, some time in my garden, and time with the mysteries, too. Your own Personal Day may indicate something completely different. Let’s say you are having a #1 Personal Day. The number 1 (related to the Sun) is the day of beginnings, exhibiting your individuality, and asserting your leadership. It requires courage and independent action, envisioning a goal. 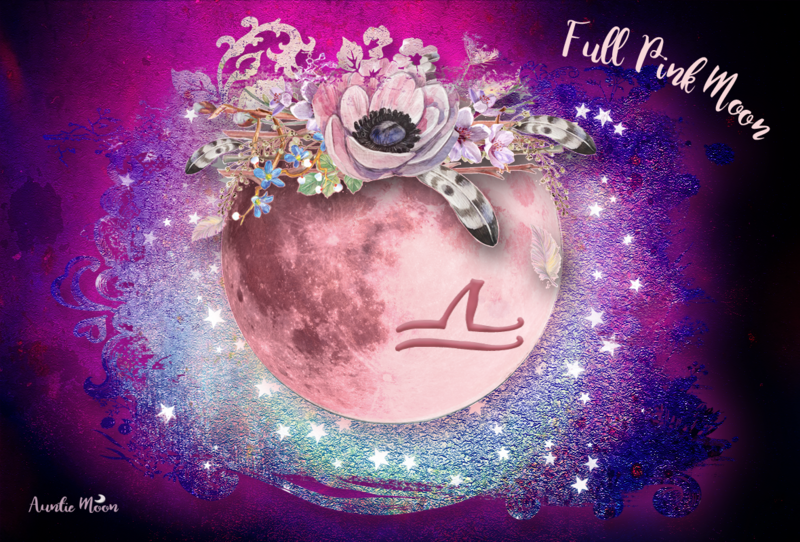 How would a Pisces Moon Day and a #1 Personal Day blend? You might start a new painting, lead the choir or a group meditation, do a tarot reading for someone else, or start a yoga practice. 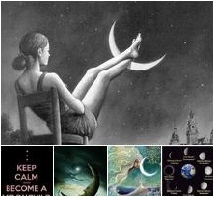 A Pisces 2 day blends with the Moon, which indicates the women in your life. You might find yourself in deep conversation with your mother, best girlfriend, or women’s group. You may be called upon to lend some kind of compassionate support to a woman in your life. If color is your language, think in terms of the sea greens, violets, and pale silvery blues of Pisces. Add the vibrant red of the number 1 to that palette and something completely different emerges. Mandala makers could find great possibilities with these palette combinations. In terms of food, a soft and sumptuously velvet bisque would get kicked up several notches with a heavy dash of a Martian cayenne. In terms of planet placements, Sun (1) in Pisces is very different from Saturn (4) in Pisces. Moon signs can’t be beat for planning the type of activities to carry out on a particular day. Personal Days show a natural inclination for each day, the type of activities and moods that seem to naturally arise. Why not try track both for a while and see if you find the same holds true for you? I show you how to find your Personal Day at the bottom of this post. If you associate a different planet with a number, by all means use that planet instead. The ones listed here ring most authentic to me. Ruled by the Sun, today is your day to shine! Be courageous, enjoy your independence, and reach for your goal. Put on those red shoes and let the world know you’ve arrived. Color: Red. Ruled by the Moon, this is a good day for reminiscing, engaging in one-on-one conversations, or indulging in what feeds your soul. Be patient and tolerant today, but don’t be a doormat. It is a day for empathy, sympathy, and receptivity. Color: Orange. Ruled by jolly Jupiter, this is the day to participate completely in the creation of joy. Seek out little moments of fun and lift the spirits of others. Express yourself, and do it with honesty and conviction, Color: Yellow. Ruled by Saturn, this is a day that requires precision and attention to details. Be organized, practical and dependable. The work you do today should have merit, quality and durability. Color: Green. Ruled by Mercury, flexibility is the key today. It may be a day when your attention is pulled in many directions. Go with the flow. Color: Light Blue. Ruled by Venus, this is a day to connect with your family and loved ones, your close friends, and your community. Does someone need your attention? This is an excellent day to nurture the ones you love and beautify your environment. Color: Indigo. Ruled by Mars, this is a good day to powerfully propel yourself toward your goal. Achievement and success can be yours. Don’t be a bully. Color: Brown. Pluto rules this day of transformation and rebirth. It’s a good day to be a good-deed doer, helping others in even small ways. Give something away today ~ unused clothing or household items, a compliment, your time, or a smile. Let go. Color: All Pastels. Here’s a very simple worksheet to figure out your Personal Day. Always add multi-digit numbers to get a single digit. Wearing the day’s color may help you feel closer to the energies it addresses. Try a piece of jewelry with colored stones to match each day’s color, a scarf or accessory of any kind, or maybe even a flower on your desk to remind you of the day’s energy. This is a real eye-opener, CJ..thank you! I am just getting to grips with numbers..finding it fascinating mixing them in with astrology – maybe I had to unravel astrology in my own way first to appreciate the numerology side! I can see something along the lines of each House and the numbers too..??? Once you understand one of the systems of astro, tarot, or numero, the others fall easily into place. One helps with an understanding of the others because of the reinforcement. It’s possible to align house activities with numbers. Sure, why not? We already know that the sign on a house cusp gives excellent clues to the style of activities in any given house. I don’t think there’s any correlation between the house numbers and numerology, though. We might find a few things. Wow! What great data to mine! Just the kind of Moon VOC thing I love to do too. Have fun, Parin! I think it’s pretty cool. This is a nice article! I have a question. Because my bday is just in november, so til there my number of the year is 3, after that will be 4. Should I use 3 or 4??? I always start a Personal Year on January 1st. I believe there’s an intensification of the Personal Year’s energy around our birthdays, similar to a solar return in astrology. However, there are a few numerologists who believe the Personal Year starts with the birthday. The best way to see what works for you is to try to determine which energy seems stronger for you: 3 = expansion, growth, expression. 4 = work, stability, practical steps. For a 3 Personal Year, February would be a month that required a lot of flexibility. Appointments would change more than usual, you would feel an increase in physical energy or physical demands. It might even be a little sexier than most months. In a 4 year, February would bring attention to home and family, and you might find yourself helping others out financially or asked to be a counsellor to close friends and family. Does one of these ring truer than the other for you? This is very neat. I’ve really become a moon follower over the past year so I definitely want to pay attention to my personal number days. Hay, Cj … Happy Year of the Rabbit. I’m fully immersed in my ‘busiest year in a long time 4-personal year.’ February is definitely filled with family and helping out from across the Pacific while my brother deals with cancer. Astrology reopened the door to Numerology and you helped to bring the two together with our YearSeer giveaways. Great feature! Thanks. Happy Year of the Rabbit to you, too, Mokihana. I always feel lucky when I hear from you. I’m so glad the Year~Seer is acting as a kind of glue. Here’s something to go with the phrase you heard today: “Be afraid, but do it anyway.” Talk about growth!